When an opponent's monster declares an attack while you control no monsters in the Extra Monster Zone: Halve any battle damage you take from that battle. 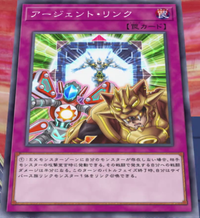 At the end of this turn's Battle Phase, you can Link Summon 1 Cyberse Link Monster. This page was last edited on 6 October 2018, at 06:39.